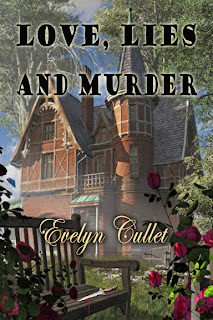 MY GUEST TODAY IS EVELYN CULLET, WHO IS CELEBRATING THE RECENT RELEASE OF HER NEW BOOK: LOVE, LIES AND MURDER. SHE HAS EXPERIENCED SOMETHING IN HER WRITING CAREER MANY AN AUTHOR, INCLUDING ME, DEAL WITH: WRITING WHAT I CALL AN "UNINTENTIONAL SERIES": BOOKS SNEAKING OUT OF SEQUENCE. Evelyn has been an aspiring author since high school when she wrote short stories, but she didn't begin her first novel until college, later in life, with encouragement from her English Professor. Afterward, she continued to take writing classes while working in the offices of a major soft drink company. Now, after early retirement, she finally has the chance to do what she loves best: write full-time. 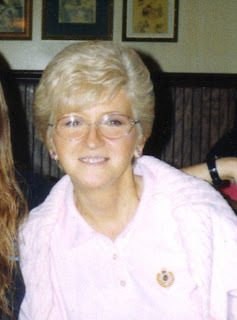 She's a former member of the Agatha Christie Society, and is currently a member of Sisters in Crime. 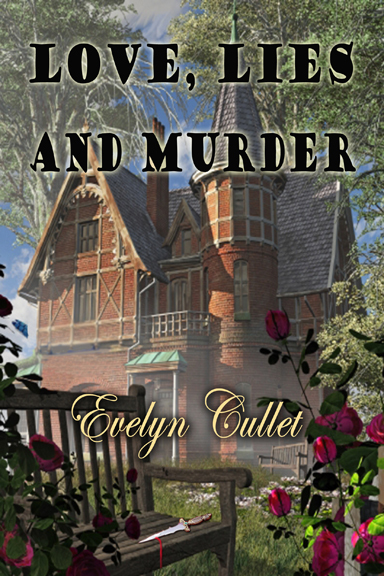 When she's not writing mysteries, promoting them or blogging about them, Evelyn enjoys playing the piano, organic gardening and being an amateur Lapidary. She and her husband live in a suburb of Chicago. What inspired you to write in the first place, Evelyn? As a life-long mystery buff and a long-time member of the Agatha Christie Society, I've read all of her novels, short stories and plays, and have discussed them in detail with other members of the society. Two other mystery authors I love are Dorothy L. Sayers and Arthur Conan Doyle. These three talented authors had the greatest influence on my writing, especially with my first novel, Romancing a Mystery. I see your latest book in the series is available, as is the sequel to it, but the first, Romancing a Mystery, is still not published. Tell us how that happened. Unfortunately, that manuscript got rejected by publishers so many times that I decided to self-published it, which seemed like a good idea at the time, but in retrospect, wasn't. I ended my contract with the self-publisher, and I'm currently working on revising that manuscript and re-releasing it sometime this year. Romancing a Mystery didn't start out to be the first in a series. It was supposed to be a stand-alone novel, but I enjoyed writing the two main characters so much that I continued to write manuscripts featuring them. I also noticed that your latest release, Love, Lies and Murder (second in the series) has only recently been published, while Masteriece of Murder (third in the series) was already out there. How did that come about? I wrote, Love, Lies and Murder, as the second novel, and then, Masterpiece of Murder, as the third. When I submitted both manuscripts to publishers, the second was rejected while the third was accepted and subsequently published last year. I rewrote Love, Lies and Murder, (the second), with the help of my editor. And after re-submitting it to my publisher, it was accepted this time and published this year. So that explains why my novels are being published out of sequence, but that's not the way I wrote them. It’s just the way things turned out. It's kind of a mess, I know. And now that I've thoroughly confused everyone, moving forward, I'm working on book four, Once Upon a Crime, in what has become a series. I suppose I'll have to come up with a name for it now. But whether I will continue to write more novels in this series depends on how well readers like the characters and enjoy reading the stories. In this prequel to, Masterpiece of Murder, Charlotte Ross sees her world about to crumble when the man she’s in love with–her mysterious boss, John Trent, announces his engagement to someone else. Charlotte’s best friend, dubious globe-trotter and mystery author Jane Marshall, arrives back in town only to stumble across the gruesome body of the town’s millionaire industrialist. Jane becomes too wrapped in up hunting for the murderer to help Charlotte in her embarrassing attempts to stop her ex-lover’s wedding. Charlotte decides to join forces with her friend, hoping to ease her heartbreak while helping to find the old man’s killer. In the process, the two self-appointed sleuths turn their small town upside down as their snooping leads them to discover that people are not always who they seem–and a single error in judgment can prove fatal. Thanks, Evelyn, for sharing with us your unusual publishing circumstances. I'm sure there are many out there who can learn from your experience. Thanks for having me as a guest on your blog, and giving me the opportunity to explain how my novels accidentally became a series. You're right, Patricia. I think you'd better write it all down. Aaahhh, the pitfalls of being published. I think I fallen in quite a few of them. Haven't we all? Unfortunately, most of us learn things the hard way. I've never heard anyone say "I learned it the easy way." I wouldn't worry about the books being published out of sequence because lots of people read a series out of order. The only thing that matters is that they read your books. And they should! Having read all of your books, including Romancing a Murder, I sincerely hope you keep the series going. I really enjoy these characters. Thanks for the compliments, Marja nad Patricia. And thanks for stopping by. Evelyn, we feel your pain. I also have a book that confuses readers. Thanks for sharing! One thing I try to on my blog is share the things writer experience is this weird world of writing, and we thank YOU for letting others follow your road to success!